Inn At Sawmill Brook Our records show that this inn is closed. Elias Child House B&B Our records show that this inn is closed. B&B at Taylor's Corner Our records show that this inn is closed. B&B At Beaver Pond Our records show that this inn is closed. My Mother's House Our records show that this inn is closed. Stevens Farm B&B Our records show that this inn is closed. Woodstock bed and breakfast travel guide for romantic, historic and adventure b&b's. 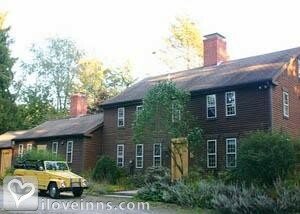 Browse through the iLoveInns.com database of Woodstock, Connecticut bed and breakfasts and country inns to find detailed listings that include room rates, special deals and area activities. You can click on the 'check rates and availability' button to contact the innkeeper. If it is a quiet vacation that is desired, the state of Connecticut will never run out of options. One of the towns that are worth going to for such a getaway is Woodstock, which is located in what the people of Connecticut consider the 'Quiet Corner.' The tranquil beauty of Woodstock has not gone unnoticed. In fact, the town has made it to the list of 1,000 Places to See Before You Die. A rural community with a rich culture and history, Woodstock has managed to amaze visitors with its very peaceful and rustic environment. While in town, make it a point to visit the Bowen House, a grand mansion with a Gothic Revival architecture that is very rare nowadays. This house is almost at the very center of Woodstock. This is also quite near another beautiful old residential building, Roseland Cottage. Woodstock bed and breakfast inns are also nearby. Woodstock, Connecticut is one of the oldest towns in the country. Woodstock has a rich history and its relevance has often been mentioned from the time of the Puritans until the present. Even the Woodstock bed and breakfast inns offer a touch of history. While in Woodstock, make it a point to see Roseland Cottage. Dubbed as one of the 25 most important houses in the country, this historic home should be worthy of any visitor's curious eyes. Another house that is worth visiting is the Bowen House, which is near the center of Woodstock. The Woodstock Academy is probably one of the oldest high schools in the country and is worth a visit. By B&B at Taylor's Corner.